There are 2 major topics that I want to address this week, and I will try to mesh them together, and write with as few words as possible: 1). Waiting on God AND 2). The Power of Your Thinking When we’re waiting on God it can take days, months, weeks, or years- and in this time our thinking is heavily affected because we might start to lose faith in receiving the blessing. Our thinking has power. The mind is the powerhouse of the body. Where the mind goes, the body will follow. “As a man thinketh in his heart, so is he.” (Proverbs 23:7) So, when you’re waiting on God for something, how is your thinking being directed? Is it full of confident expectation that He will deliver at the right time? Or, do you curse God after the blessing hasn’t come in your desired time? I remember when I returned to the United States after having studied in the best city in the world- London ;) I was devastated to have to be back in the U.S. I didn’t want to be there because inside I knew that God had ignited inside of me a love for the nations; a desire to live abroad; a burning passion to live in London- and here I was sitting in the middle of nowhere Fort Campbell, Kentucky and from there I would return to Washington, DC. My heart ached. “Why couldn’t God have just given me a job in London?” I asked myself. But, it was through a painful season that unfolded in Washington, DC that brought me to my knees in October 2013, and where I became born again, and that God changed my life. He had me in a place where I could not move for 2 years, but where I had to wait in the “ravine” for His perfect timing to return to Europe. But also, it wasn’t about God just keeping me in a place to be mean or vindictive. He was working on my heart, filling me with His Spirit, and changing me so that when the right time came, He knew He’d send me back to Europe; but as a born again believer, with purpose and a heart for Him. God will often allow seasons in our lives where we can’t move the way we want to move. He will put us in private seclusion (aka the waiting room of life) to use us for public ministry later- whether that be a job, or some sort of out in the open role later. I couldn’t write these Friday posts without having had those 2 years of waiting in the ravine. Anyways, Ahab and his wicked Jezebel despised the prophecy that Elijah gave about a future drought that would last a few years, and so they tried to kill him. So, God told Elijah to hide in the Kerith Ravine (Kerith means cutting or separation), east of the Jordan. There in solitude, Elijah had to wait on God, who would minister to him everyday and feed him everyday. Elijah was in the waiting room of life. He couldn’t move, he couldn’t even buy his own groceries, he didn’t know where he would go next, and he waited underground in a ravine (a narrow landform that cuts down into the earth), until God told him where to go next. God was doing a lot here. There’s more divine symbolism here than I have time to write. But while God had Elijah in a ravine, he was “separated” from being able to prophesy to the people of Judah. God had cut His communication by way of Elijah, with His idol worshiping children. Even when it doesn’t seem as if anything is happening, something is happening. There is always victory on the other side of a struggle. God had Elijah in a narrow landform because He was building Him up. But, God was also allowing the Israelites to get their fill of idolatry- God was keeping quiet- because He knew at the right moment He was going to bring Elijah out of the ravine, so that he could kill 450 prophets of Baal (1 Kings 18). Elijah needed the time in the ravine to be built up for what God was going to use Him publically to do later. We see that when we’re in the waiting room of life that God is indeed working. When we’ve been job searching for a year, or trying to have a baby, or hoping for marriage, or trying to start that business- God is working on our behalf teaching us patience. We also have downtime to read and prepare for what we’re wanting. God is also working on our hearts, preparing us for what we’re waiting for; and He’s setting us up to meet the right people that will help us make our dream come true. It doesn’t mean it’s easy waiting. When you need a job you need a job. And Jehovah Jjirah our provider knows your financial situation and He will step in at the right time and provide the job. But, WE MUST resolve in our thinking before a challenge arises that we will trust Him when future challenges come. 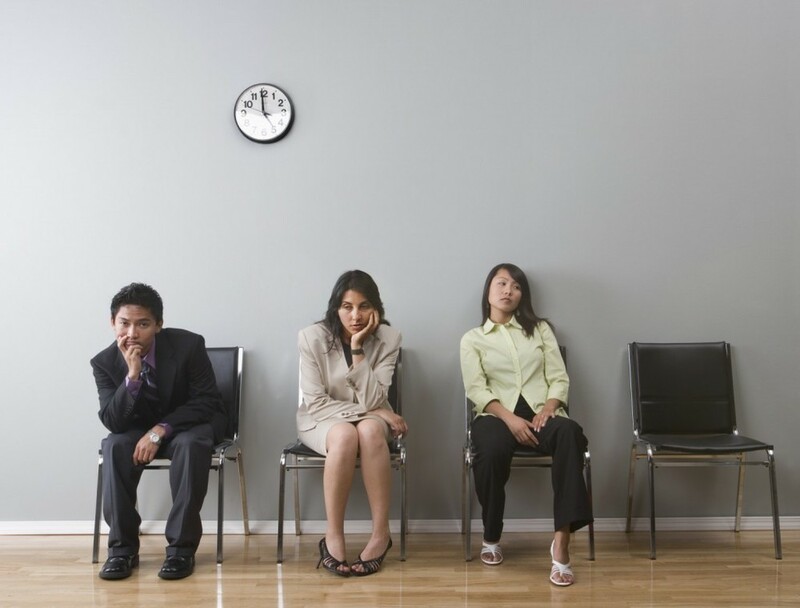 We must resolve in our minds NOW to stay obedient in life’s future waiting rooms. We must resolve that our desired time for the blessing isn’t His time. If we can control our thinking and resolve to wait on our God, He will bless us with His absolute best. He hasn’t forgotten about our situations and our needs. He knows that we’re feeling anxious, want to cry and yell (and it’s ok to let Him know how you feel in prayer), but more importantly He wants our obedience, trust, and belief that He will deliver us. 1). Give up and surrender to God our problem, and let Him have complete control. If we’re frustrating ourselves in trying to make things happen then He can’t do His will and we will remain frustrated. 2). Draw even more closer to God in prayer and Bible reading so that He can send the Comforter and speak to our hearts. 4). Volunteer and give back in our communities and our church.